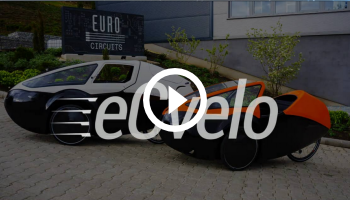 Watch the construction of Eurocircuits’ new building in just a few minutes. 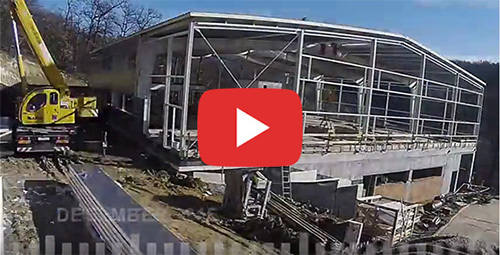 During the construction period of our new Eger building we have made pictures every 5 minutes and edited them together into one time lapse video to give an impression of the entire building process. 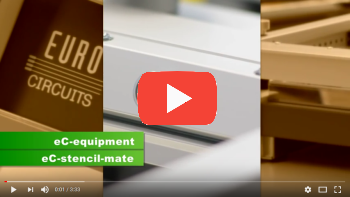 In only 6 minutes we take you through the entire journey of the expansion of our Eurocircuits Eger plant. The WoTS-badge is an idea and development of Salland Electronics and Eurocircuits. The WoTS-badge is a display of 85 LEDs which you can simply pin on your clothing. The WoTS-badge can display a large variety of texts and animations. The freeware app (Android, IOS and Windows) is a handy tool to program the WoTS-badge. On your smart phones’ screen, you can simply input texts or draw pictures. The WoTS-badge connects to your smart phone via the new Nordic nRF52832 Bluetooth 4.0 LE chip. “WoTS-badge”, is the exhibition gadget for the industry branche Industrial Electronics of FHI for this years’ World of Technology & Science exhibition in Holland. We have elaborated further on in house assembly of these prototypes in this story. A new soldermask for eC-PCBs. Laser Direct Imaging required a new and better soldermask. Why you should supply us with Gerber X2 files?. All on Gerber X2. New outline editor – the next PCB Solver tool. New Auto-repair function in PCB Visualizer automatic repair solution for annular ring issues. 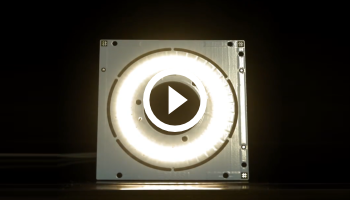 eC-placer – fast, accurate PCB prototype assembly solution. eC-test-mate user report 2: more customer feedback on our fixtureless tester. eC-stencil-mate and eC-reflow-mate: what our users say. eC-test-mate user report 1: customer feedback on our fixtureless tester. Eurocircuits ULP for EAGLE users calculate prices direct from your EAGLE screen. Using polygons in EAGLE – how to get the best out of the EAGLE polygon (copper-fill) function. ENOVA Paris – France: Paris, France, 14-15 September 2016. World of Electronics 2016: Utrecht, Holland, 4-7 October 2016. Illuminotronica 2016: Padova, Italy, 6-8 October 2016. Electronics Design Show 2016: Ricoh Arena, Coventry, UK, 19-20 October 2016. MATELEC 2016: IFEMA – Feria de Madrid, Madrid, Spain, 25-28 October 2016. D&E event 2016: Congrescentrum 1931, Den Bosch, Holland, 2 November 2016. Electronica 2016: Neue Messe, Munich, Germany, 8-11 November 2016.